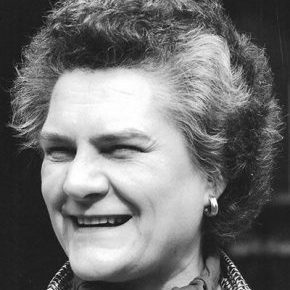 Dame Anne Warburton, Britain’s first woman ambassador, had, while still 18, already completed a degree in government and economics at Barnard College in New York City, Phi Beta Kappa when she returned to England and read philosophy, politics and economics at Somerville. She spent the next eight years in London and Paris as an economist with the Marshall Plan administration, NATO, and the merchant banking firm Lazard Freres. It was useful experience but her ambition was to work in diplomacy. In 1957 the opportunity finally arose to take the entrance exam for the Foreign Service, and over the next 28 years she held posts in London, Bonn, and at the United Nations in New York and Geneva. In 1976 she achieved the highest rank in British diplomacy with her appointment as Ambassador to Denmark, a post she held until 1983. During this period of growth and change in Britain’s relationships with her Common Market partners, the ambassador was called upon to represent Queen and country not only on the diplomatic front but in the commercial world as well. It was also important to build rapport with journalists, especially at the time of the Falklands War; in addition she worked to encourage cultural exchange, such as the Vikings in England exhibition. Following the state visit of the Queen in 1979, she was created Dame Commander of the Royal Victorian Order. From 1983 to 1985 she served as permanent UK representative to the United Nations in Geneva, again holding the rank of ambassador. In that role she led at official level numerous UK delegations, including that to the United Nations Women’s Conference in Nairobi. Instead of the quiet retirement she had anticipated after leaving the Foreign Service, Dame Anne entered another challenging career as the fourth president of Lucy Cavendish College at Cambridge. Established in 1965, the college’s mission was to provide educational and research opportunities for mature women; its primary needs in 1985 were for buildings and self-esteem. Under her leadership the limit on the size of the student body was raised and the college’s first new building was erected, and her membership on the UK Equal Opportunities Commission raised the college’s profile outside university circles. The long-term significance of her contributions was recognised in the naming of the next new building, a handsome dining facility, as Warburton Hall. Dame Anne returned briefly to the diplomatic world in 1992 when Prime Minister John Major, in his role as president of the European Community, asked her to head a multi-national team to investigate atrocities against Muslim women in Bosnia. The appointment conveyed the confidence of the Foreign Office that she would be able to gain the confidence of the women and to present the team’s findings without bias. The mission brought worldwide awareness to the horrors that the war had brought to Bosnia. Before retiring from Cambridge in 1994, she was elected to a three-year term on its Council of Senate, she chaired the University’s Careers Service, was a member of the Overseas and Commonwealth Grants Committee and was a syndic of the Fitzwilliam Museum. Outside the university, she served on the board of the British Library and shared her wisdom, knowledge and experience with the Council of the University of East Anglia and the Board of Governors of the English-Speaking Union. Once again retirement was short-lived and at the end of 1994 she was recalled to active service by appointment to the newly created Standing Committee on Standards of Conduct in Public Life, also known as the Nolan Committee. It was set up after the cash-for-questions scandal and during her three-year term it issued two reports that began a pattern of well-thought out recommendations intended to restore public confidence in elected officials. Her service to her country and humanity has brought her honours from governments and institutions around the world: the Verdienstkreuz, First Class, from West Germany; Grand Cross of the Order of Dannebrog (Denmark); Lazo de Dama of the Order of Isabel la Catolica (Spain); Honorary Doctor of Laws from the University of Arkansas (U.S.); Distinguished Alumna Award and Medal of Distinction from Barnard College. In 1977 she was named an Honorary Fellow of Somerville and in 1994 of Lucy Cavendish College.